The beach is absolutely beautiful and we did have a great view from our balcony but the views from the room are the exception, not the norm. We stayed in a junior suite (number 208 specifically) but most of the rooms in the hotel do not look directly onto the water or have an obscured view. Thankfully our room wasn't smelly, disgusting, or broken like I've seen in some other reviews. It was sufficiently clean, we didn't have any problems with it. The place is a little run down and is not a luxury experience or anything but again, you're paying for the location. 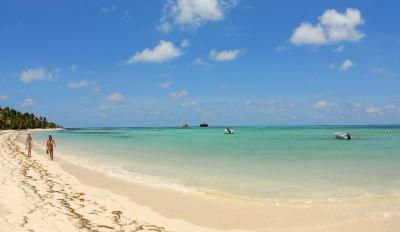 It's a chilled out tropical island so I wasn't expecting perfection from the staff. They were attentive enough and we didn't have any real complaints or anything. Nice people, we liked them. The beach fir the property was beautiful...staff very friendly and helpful! right at the beautiful beach, english speaking staff. big and clean room. Staff is great. Friendly & helpful. Facility is right on the beach with all amenities available. Pool is small but cosy. 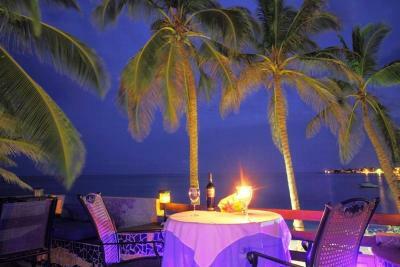 Pure Caribbean beach hotel with nice colors and island music and ambiance all around the beach. Friendly staff, well located, clean rooms, good breakfast, decent restaurant on location. 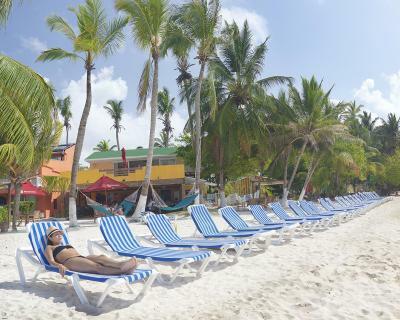 Hotel Cocoplum Beach This rating is a reflection of how the property compares to the industry standard when it comes to price, facilities and services available. It's based on a self-evaluation by the property. Use this rating to help choose your stay! 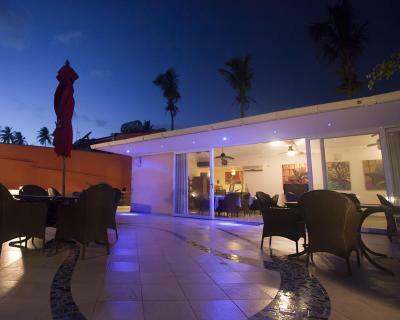 One of our top picks in San Andrés.Located right on Cocoplum, San Andre’s finest beach, Hotel Cocoplum Beach features a swimming pool, spa facilities and a restaurant overlooking the sea. Free WiFi is available in common areas and breakfast are provided. Air conditioned rooms at Cocoplum Beach Hotel have cable TV and mini-bars. All of them featured tiled floors and floor-to-ceiling windows. A buffet breakfast is served daily. 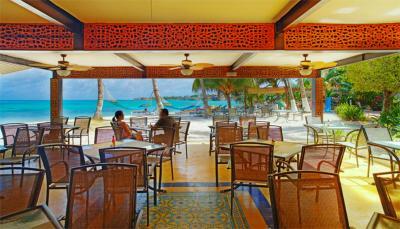 Cocobeach Restaurant offers a wide variety of Caribbean dishes. Drinks from the bar can be enjoyed on the maritime terrace. Guests can unwind on the sun loungers by the pool or engage in several water activities such as snorkeling, scuba diving, windsurfing and fishing. Massage sessions can also be requested. Free parking is provided, and airport shuttles can be arranged by the 24-hour front desk. 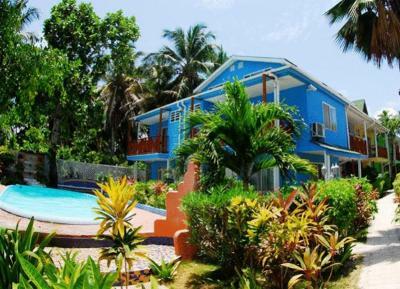 Hotel Cocoplum Beach is 2.5 mi from San Andres’ Airport. When would you like to stay at Hotel Cocoplum Beach? This room features one double bed or 2 single beds, private bathroom, and a balcony with splendid garden views. A spacious duplex apartment with 2 bedrooms, 2 bathrooms, a terrace, and LCD TV. It can accommodate up to 4 guests. This duplex junior suite features a king bed, a living room with a sofa bed, and a balcony with scenic views. It can accommodate up to 3 guests. 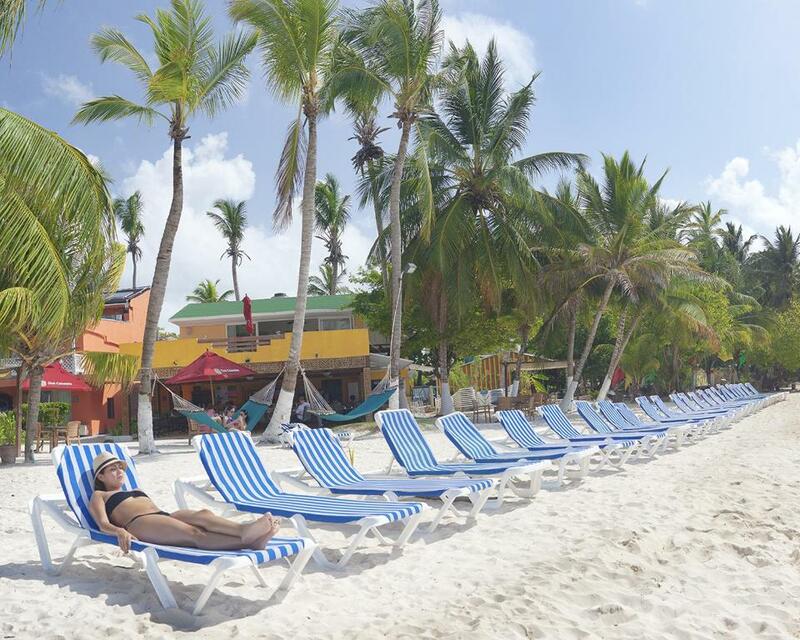 House Rules Hotel Cocoplum Beach takes special requests – add in the next step! Hotel Cocoplum Beach accepts these cards and reserves the right to temporarily hold an amount prior to arrival. Please note that airport shuttle service is offered only from the hotel to the airport for a surcharge. The property will provide further information. Location is great, next to a beautiful beach. Breakfast area is really on the beach. The hotel needs an urgent reconstruction. EVERYTHING is old and broken. The restaurant was really underwelming in terms of service and quality of food. We chose other restaurants for lunch but in the evening everything else on the beach closes down so you are stuck with the hotel restaurant. The food was definitely the worst part for us. Do not trust the reviews that say it's good. It's NOT good. Some of the fish entrees are acceptable and the breakfast is adequate but overall it's overpriced and disappointing. Make reservations at La Regatta (better yet, make them for multiple nights because it's the best restaurant on the island) and for the love of sweet baby Jesus do NOT get full board here. It doesn't even make sense economically, it's actually kind of a rip of which is strange. The management tried to charge too much for the room when we came. The management tried to charge too much for our consumption when we left. The pool closes at 19:30. We booked a balcony but did not get one. The hotel is located on a very nice beach. Easy to get inexpensive transport away from the hotel. The location is amazing right at the beach and a very beautiful one. I have understood this is pretty much the only place on the island where you have direct access to a beach. 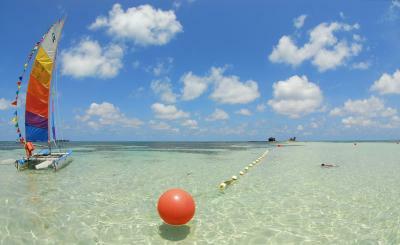 It is very calm as it is not in the city so despite not being a private beach, it is not crowded. Perfect for families as well. The place is winning with the beach access. The location definitely!. First line in front of the beach. Waking up in the morning and jump into a tropical beach was really amazing. 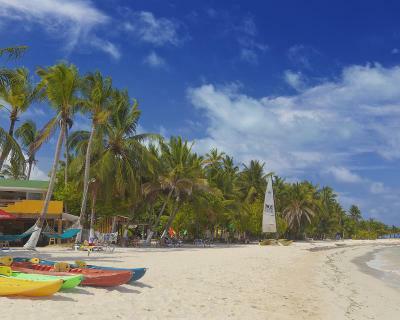 There are lot of beach beds you can use for taking a sunbath or resting, plus a bar where you can get any drinks you like. The breakfast was good enough to start your day. Room was good, clean and neat with a fully functional AC. There is not hot water... we knew that but it's stil. It's a bit old and could use a renovation on the bathroom. The beach it's, like they say, the best one in the island. N9t many people and the one in the main town. Tv didn't work, they organize everything to fix it. Very old hotel. Salt water in beathroom :( and smell Very expensive. Halfpansion inclzde: 1 juice, 1 entrada, 1 main course ftom tha menu, 1 liitle bit cake. :(( If you would like soup don't get a main cours :((( Breakfast owful same a hostel breakfast for expensive money :( Never recommended. The food is really bad and the people at the restaurant a walking around asleep. Also the door to the balcony cold not be locked. I liked the view and the late back atmosphere.